San Diego State University‘s plan for the former Qualcomm site would recreate the natural river environment while building a new 35,000-seat stadium and a new west campus with its own campanile. 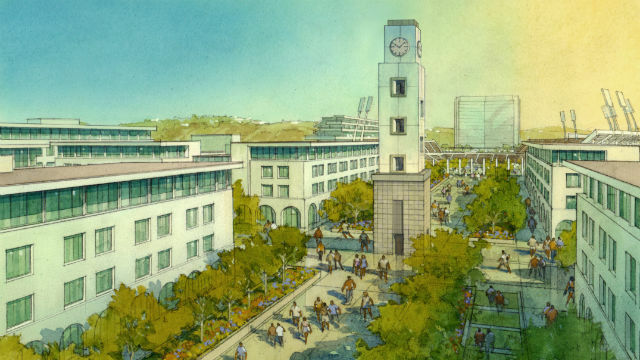 University President Sally Roush and representatives of JMI Realty and the architectural firm Carrier Johnson + Culture outlined a plan Wednesday for “SDSU Mission Valley” that includes 1.6 million square feet university space, 4,500 housing units, a 250-room conference hotel and 90 acres of park space. JMI Realty President John Kratzer described the $3 billion, 15-year project as a campus expansion, not a commercial development, and vowed it would not be financed with tax dollars but through public-private partnerships. Roush also pledged that no tax dollars would be used, nor would tuition or fees be raised because of the project. 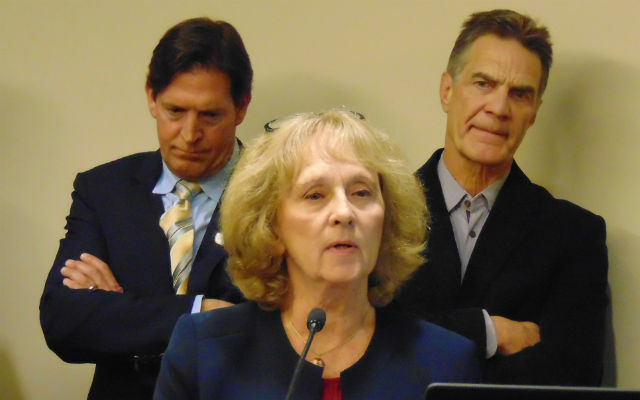 “There will be no reliance on taxpayer funds or unversity funds,” said Roush, though she added that the stadium itself would be financed with state-issued bonds repaid by revenues from the venue. She said acquisition of the land from the city at an estimated $80 million would be financed with university funds from non-public sources, such as donations and services revenue, and possible paid over a number of years. Stadium — 35,000 seats, expandable to National Football League requirements, and adaptable for major league soccer on the west side of the site. There would be parking for 1,000 vehicles. Housing — 4,500 units arranged in 15 blocks of townhomes, mid-rise and high-rise buildings on the east side of the site. Carrier said this housing would be ideal for university faculty and staff. Campus — 1.6 million square feet of campus buildings of three- to six-stories in height located between the stadium and the housing. Lodging — A 250-room convention hotel with conference space and smaller boutique hotel. Open Space — A total of 90 acres — more than 50 percent of the site — including small parks within the campus and housing area. “We’re really taking open space quite seriously,” Johnson said. 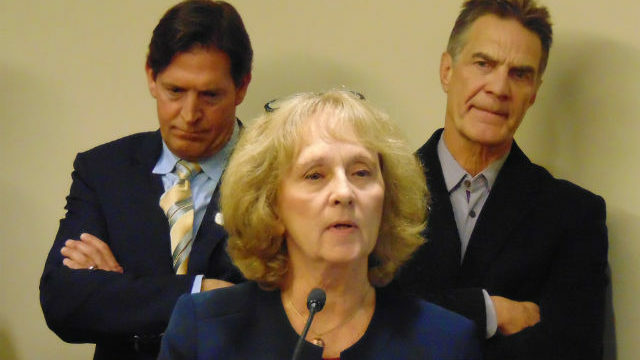 The SDSU plan must be approved by voters. Signature gathering for a ballot measure in November 2018 is underway. However, a competing plan by the private developers of SoccerCity is already on the ballot. The land is three trolley stops from the built-out main campus, and SDSU officials have for years eyed the city-owned Mission Valley site for expansion.